Pandemonium broke out this morning in Jalingo, Taraba State following the announcement of the death of Hon. Haruna Tsokwa, the Speaker, Taraba State House of Assembly. Mr. Tsokwa took ill last Thursday and was rushed to the Federal Medical Centre, Jalingo where he passed on early hour of Monday without been diagnosed of any tangible ailment. 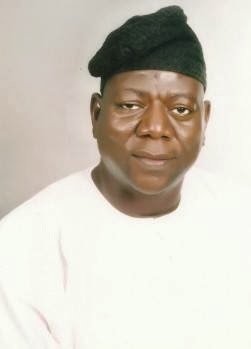 Confirming the death of the Speaker to newsmen in Jalingo, Kefas Sule, the spokesperson of the Acting Governor of Taraba State said “He died this morning, after just a brief illness at the Federal Medical Centre, Jalingo”. 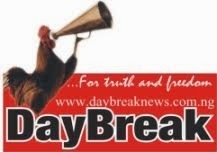 Although Mr. Sule could not go further on the cause of the death, DayBreak Newspaper gathered that some supporters of the late Speaker are speculating that he may have been killed through poison. The more reason why the news could not be taken as natural. an unknown gang open fire on his convoy in a forest near Keffi along Jos-Abuja federal road. Though the Speaker escaped unhurt but his police orderly and other security attache sustained bullet injuries and were taken to the Federal Medical Centre Keffi for treatment. Hon. Haruna Tsokwa, member representing Takum I state constituency at the House of Assembly emerged the Speaker April 2013 in a controversial manner, following the impeachment of the former leadership of the assembly. In what could be described as a civilian coup, the leadership of the assembly under Rt. Hon. Istifanus Haruna Gbana, Speaker, Rt. Hon. Peter Abel Diah, deputy Speaker and Rt. Hon. Charles Maijankai, Majority Leader were brought to an abrupt end following an allegation of gross misconduct and divide-and-rule tactics. Coincidentally, the leadership under the former Speaker was said to be loyal to the ailing Governor Suntai Danbaba and have been holding brief for him while receiving treatment abroad. Whereas, the leadership under late Haruna Tsokwa was alleged to have been loyal to the acting Governor, Alhaji Umar Garba which was the reason why the House of Assembly could not honour the letter transmitted to it by the Governor when he returned from the medical treatment but rather asked the deputy Governor to continue in office. 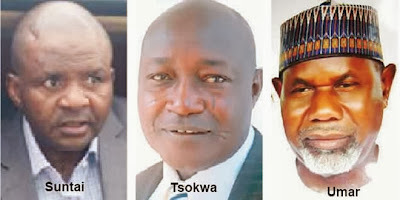 Also, analysts have queried the emergence of the Tsokwa led assembly as all the principal officers of the house were first-timers, against the standing ethic of parliament that forbids greenhorns from taking such critical positions when there are senior colleagues in the house. This has resulted to the division which was paramount in the assembly with its tentacles spreading to the executive and other body polity in Taraba state. The late speaker had always been a staunch supporter of the acting Governor and reports from some quarters suggested that he would have been named the deputy Governor if the move to oust the ailing Governor had been successful. Been weary of the unhealthy struggle to control Taraba State currently in vogue in the state, the late Speaker took to his facebook account on the 31st August where he wrote "God will see us through". As at the time of filing this report, Mr. Tsokwa’s age was unknown but from his facebook profile, it could be deduced that he attended Federal University of Technology, Yola, and Government Secondary School, Ibbi, for his university and secondary education respectively.